Product prices and availability are accurate as of 2019-04-22 00:18:12 UTC and are subject to change. Any price and availability information displayed on http://www.amazon.co.uk/ at the time of purchase will apply to the purchase of this product. 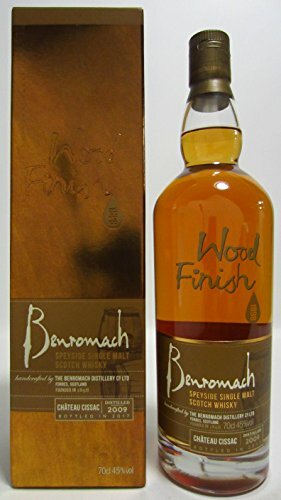 The Single Malt Whiskey Store are delighted to stock the fantastic Benromach 2009 / Bot.2017 / Chateau Cissac Finish / 70cl. With so many available recently, it is wise to have a make you can recognise. 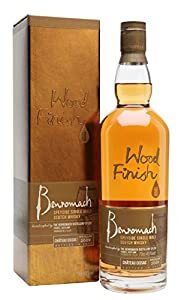 The Benromach 2009 / Bot.2017 / Chateau Cissac Finish / 70cl is certainly that and will be a perfect purchase. 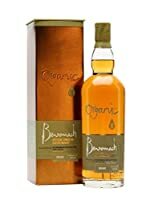 For this great price, the Benromach 2009 / Bot.2017 / Chateau Cissac Finish / 70cl is widely recommended and is always a regular choice amongst most people. Benromach have added some excellent touches and this equals great value. "70cl / 45.0% - It's the 2009 vintage Chateau Cissac Wood Finish expression from Benromach. This is initially matured in first-fill bourbon casks, then moved over to casks from Chateau Cissac in Haut-Medoc for 25 months before being bottled at 45% ABV. We love the specificity of these releases from Benromach (and the whisky is marvellous too - it's not just nerdy features that we're fond of here)."